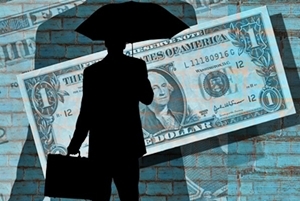 Social Trading is a forex trading system which help you to get access to the financial markets. Today I’m so excited to share my latest post with everyone. Social trading gives you the freedom to fetch reports about the internet market from other interested organizations. So You can trade together or simply take benefits of the provided data for your own trades – that’s your choice. Social trading system runs on the basis of social networking. Social Media Giant "Facebook" is a best example for this. With the help of FB you can connect to your family, relatives and your friends, social trading networks provide a nurturing environment where beginner and expert traders can exchange data, plans, methods and ideas. Today I'm going to share a list of the 5 best leading social trading platforms. Our main focus is on Forex trading platforms which offer both a social trading and community aspect, as well as binary options. This is the functionality which allows investors to automatically capture the trades from other parties on the network in their own social trading account. 1. 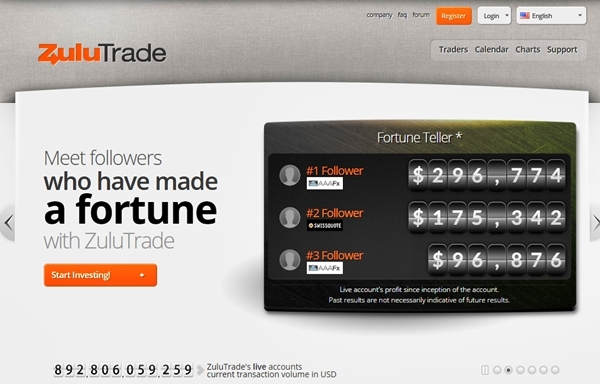 ZuluTrade: It is the number one web-based social trading platform. There are a number of traders and investors using this system. It is an easy to access, there are so many expert traders and you do not need a lot of time to manage your account. You can try a demo account to test various strategies and different combinations of signal providers in order to find the ones that correspond better to your personal trading style and portfolio. 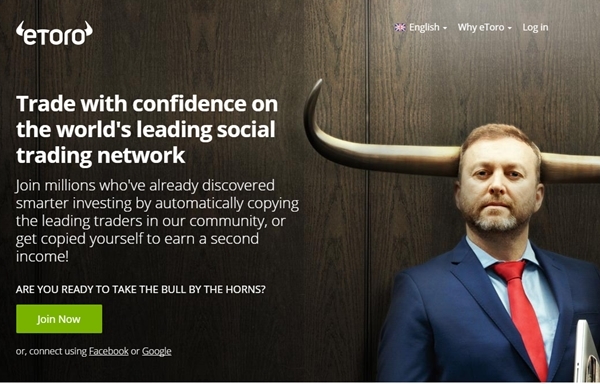 2. eToro: eToro is another social trading investment network which empower more than 4.5 million users in more than 170 countries worldwide. They have an easy to use mobile friendly interface, while a fully functioning demo is available as well. The headquarters of eToro is located at Cyprus (Europe). 3. Ayondo: Ayondo is a modern way to invest and start social trading. It is a German based STN. 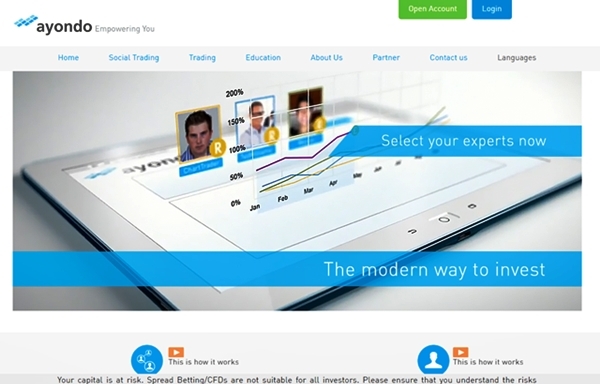 You can open "Social Trading" or "Spread Betting/CFD Trading" account on this platform. They give you an ability to create your own portfolio of up to 5 top traders with an easy steps. Try a demo account today! 4. Copyop: Copyop is proudly announcing themselves as a social trading platform where people can interact, work together if need to be and make money. It is the leading and most advanced Cyprus based social binary options trading network which will help you to watch, follow and automatically copy successful binary option traders. You can read complete copyop review here. 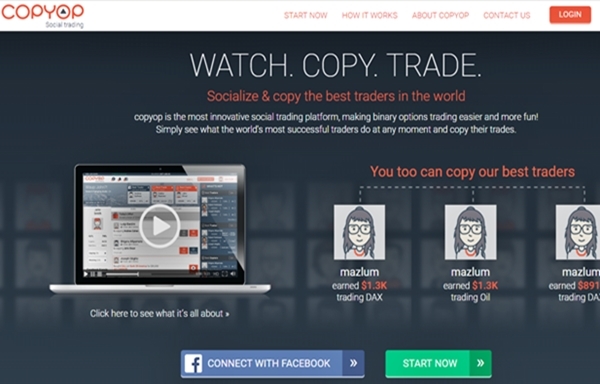 Download copyop - Social Trading app here. 5. Tradeo: It is a social trading community network launched in 2012 which allows traders to share their trading activities, interact and receive comments from other expert traders. They added the feature to automatically mimic the strategies from other Forex traders in 2013. If you're a new user then you can try free fully functioning demo account. Tradeo's headquarters is located in Malta. Social trading market is expanding very fast with brand new networks and solution providers trying to take a piece of the social trading market space. If you like this article, please share it to support us. Thanks in advance and stay blessed. Yes, you can try them any time. These are the best social trading tools.